Today: Time of rise and set of Sun and Moon. ==> Where to go, what to do, when to look by Oliver Klös, IOTA/ES. Corresponding GRAZPREP-files made by Stefan Meister. Thanks! Aug. 30 - Sept. 01: 38th European Symposium on Occultation Projects (ESOP) at the famous Paris Observatory. 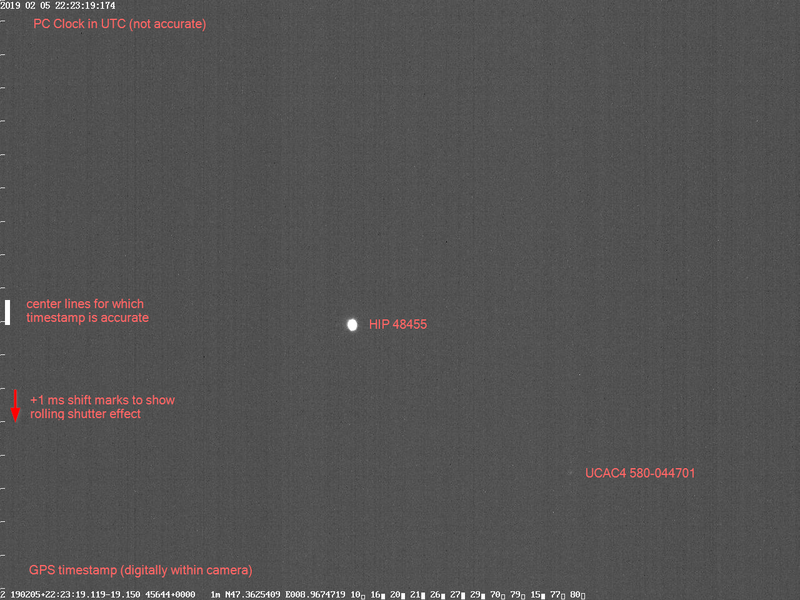 February 05, 2019: The occultation of the bright star named Rasalasad borealis (my Leonis, 3.4 mag) by the small 15 km asteroid (34339) 2000 QH218 should be very impressive: the expected magnitude drop was 14.0 mag! The shadow of the star was crossing Switzerland from East to the West. Unfortunately, several participating observatories were blocked by snow or stucked in the fog! 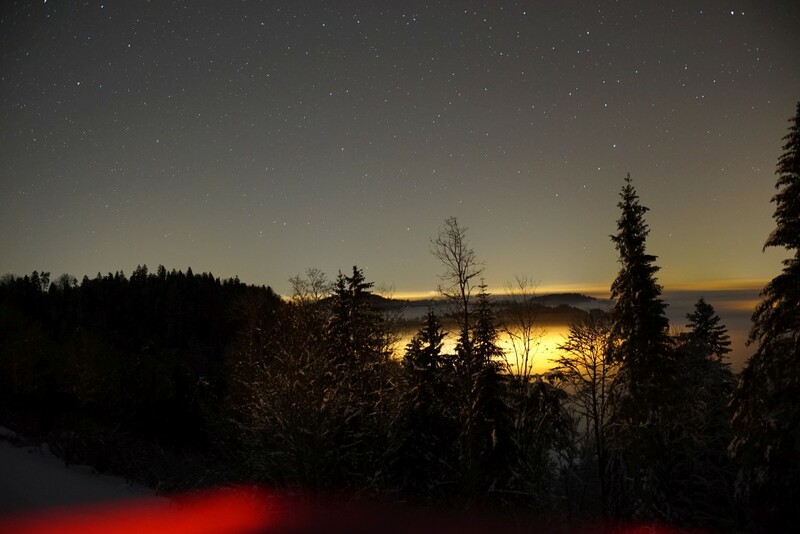 That's why Stefan Meister moved the mobile equipment to the Hulftegg (950 m/msl) for observing the event. Although the observing place was located only 2.6 km north off the center line, the event was observed as a missed event. 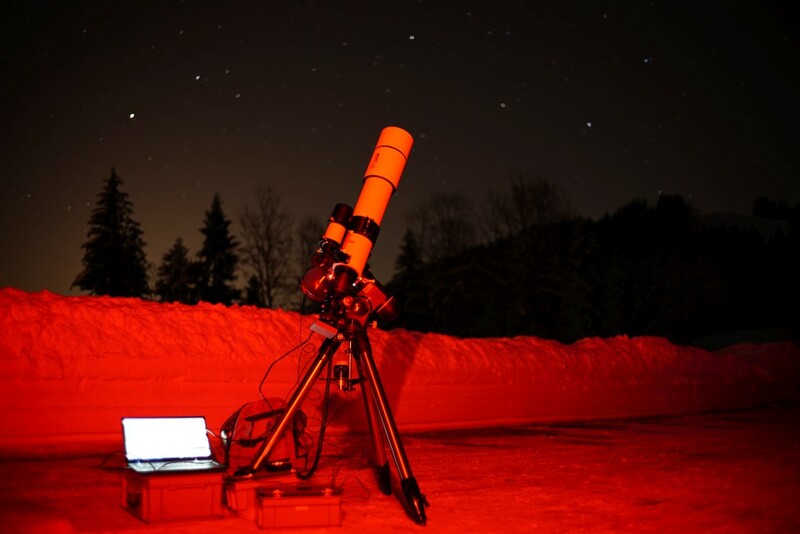 December 20, 2018: A new tool for the calculation of the combined brightness of two astronomical objects, standing close to each other, was created. If the apparent brightness of the two bodies are known, the excel sheet calculates the combined brightness and, more important, the drop of the brightness during the occultational event. The tool can be downloaded from here. October 27, 2018: The first meeting of the working group SOTAS was held in the Liceo cantonale in Bellinzona. Totally 16 "Occultazionisti" exchanged their experiences and discussed the coming projects. The successful event was very motivating for all participants. 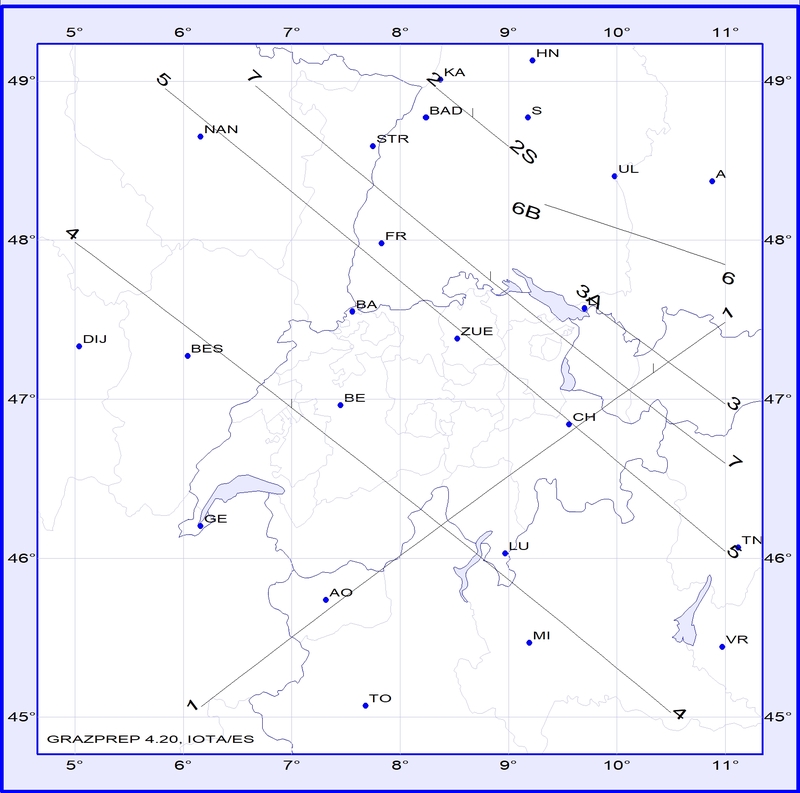 May 13, 2018: New: The Swiss Occultation Numbers, a monthly statistic about the observing activities of SOTAS members, was launched. 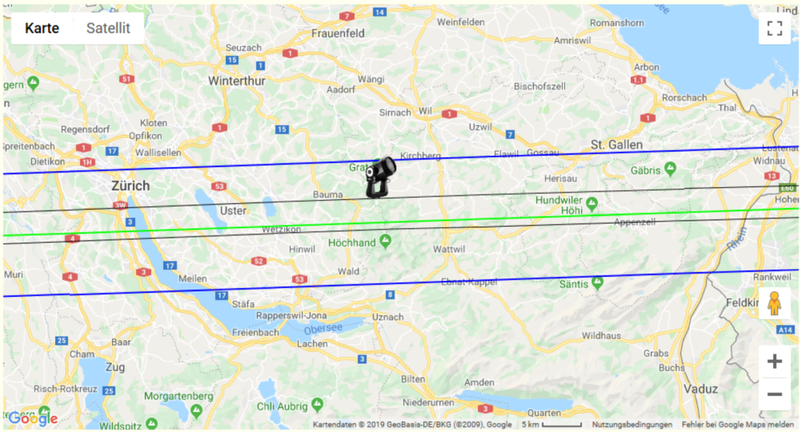 April 21, 2018: Great success for SOTAS members: At 00:31 UT, the shadow of (130) Elektra, a 180 km asteroid, crossed Europe with center line directly along Switzerland. After good preparation works (workshop) and thanks to brillant weather conditions along the whole path, totally 9 (nine!) SOTAS stations recorded the disappearance and reappearance of the light of a 11.6 mag star. Eric Frappa (Euraster) aranged the chords and simulated the suitable model of the asteroid. Well done guys! 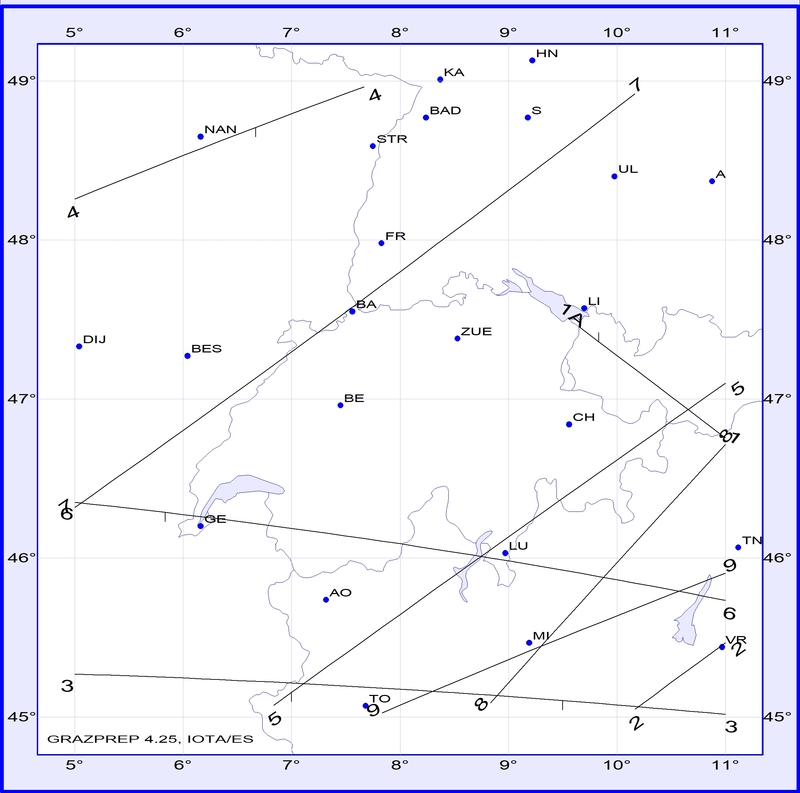 Nov. 6, 2017: Grazing occultation of Aldebaran by the moon: Between 03:14 and 03:18 UT, the star Aldebaran (alpha Tauri) was occulted in a grazing pattern caused by the limb profile of the moon. The observing path of this spectacular event passed Eglisau, a small town North of Switzerland. 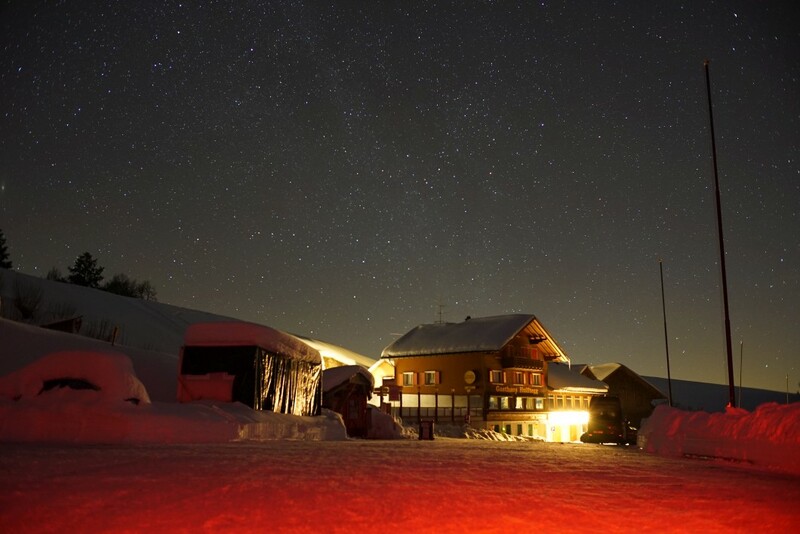 Stefan Meister prepared and organized an excellent observing campaign. Unfortunately, and once more, sky was clouded out during the interesting moments. Oct. 5, 2017: Star occultation by Triton: After an extra workshop and numerous previous successful tests, we all felt ready for the rare occultation event. Unfortunately, the weather was clouded out, stormy and/or rainy all over Switzerland exactly during the occultation event. Only one station reported an observation! Sept. 18, 2017: SOTAS has got a forum! Discuss your projects and stay informed. Register for automatic messages. Special thanks to SAG for hosting the forum. Sept. 16, 2017: Meeting with workshop at the Observatory Bülach, considering the technics of recording and video time inserter. Goal: The participants are ready to record the occultation by Triton on Oct. 5, 2017. June 2, 2017: "3 - 2 - 1 - lift off" for the new working group! Let's occult!